Day 1 of the Season XV World Poker Tour L.A. Poker Classic $10,000 Championship was exactly what this event has always been, a star-studded affair and one of the most premier tournaments on the planet. Everywhere one turned, another notable face could be seen. If it wasn’t Daniel Negreanu and Maria Ho, then it was Richard Seymour and Joe Hachem. If it was Antonio Esfandiari and Jeff Gross, then it was Billy Baxter and Darren Elias. If that’s not enough to satisfy your poker appetite, Erik Seidel, Mike Sexton, Phil Laak, JC Tran, and Chino Rheem were also in the field. But none of those star players was in the position of chip leader at the end of Day 1. That spot belonged to Nick Maimone, who bagged up an impressive 187,000 in chips after starting the day with 30,000. If you can believe it, Maimone, who boasts career live tournament earnings of more than $1.9 million, has never cashed in a WPT event. He’s off to a great start at Commerce Casino for the Season XV WPT L.A. Poker Classic $10,000 Championship, but only time will tell to see if Maimone reaches the money with a deep run. One player who has cashed in a World Poker Tour event is James Romero, winner of the Season XV WPT Five Diamond World Poker Classic $10,000 Main Event back in December for a huge score of $1.938 million. Although Romero differs from Maimone in that he has cashed in a WPT event, he shares the similarity of Day 1 success in this event. 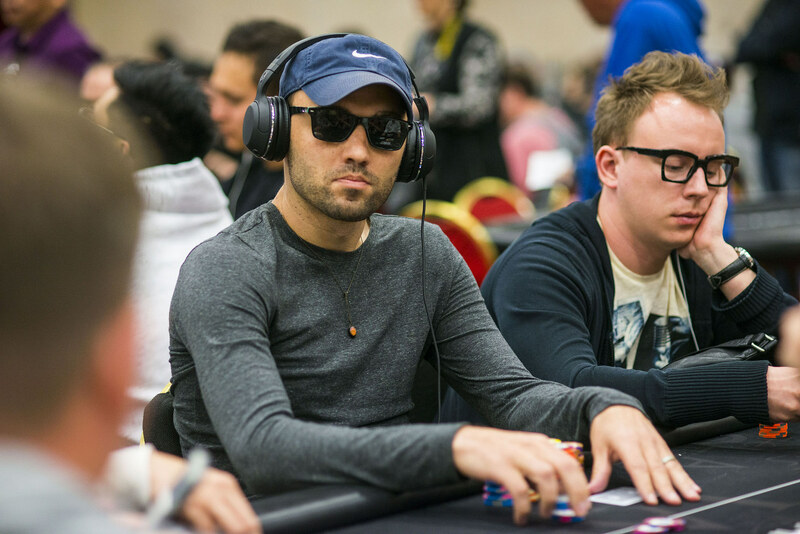 Romero’s success on Day 1 wasn’t as much as Maimone’s, but he did bag up 153,600 in chips. For Romero, the WPT L.A. Poker Classic $10,000 Championship is his first event since his big WPT Five Diamond win. The hunger to win is still there, though, and Romero expressed it. Romero was one of 13 players close enough to catch Ben Zamani in the Hublot WPT Player of the Year race should they go on to make a deep run in this event. Romero is currently third on the Hublot WPT Player of the Year leaderboard and could catch Zamani with a third-place finish or better. With the prize pool already pushing $5 million, there are 1,400 points in the Hublot WPT Player of the Year race up for grabs for the winner. Another player in the field on Day 1 who advanced to Sunday’s Day 2 was Ema Zajmovic, the first female player to win an open-entry WPT Main Tour event. Zajmovic scored big when she won WPT Playground, and she wrapped up Day 1 in Los Angeles with about three times the starting stack. Like Romero, Zajmovic could catch Zamani in the Hublot WPT Player of the Year race. She could tie Zamani with second-place finish and pass him with a victory. Zamani, who does hold a commanding lead in the Hublot WPT Player of the Year race, hasn’t reached the money in quite some time now. He was eliminated late on Day 1 in the Season XV WPT L.A. Poker Classic $10,000 Championship, and has now missed out on an in-the-money finish in the last 10 WPT Main Tour events. With approximately 315 players remaining from a field of 498 entries, there’s still a long way to go in this event. Registration in this single-entry event will remain open until the start of Level 10 on Sunday, which is the second level of the day. That means the field size will certainly grow, and it’s always interesting to see who will show up late. One player we know has been at Commerce Casino this week and has a reputation for arriving late is Phil Hellmuth. Day 2 will begin on Sunday at 12 p.m. PT at Commerce Casino. Stay tuned to WPT.com for continued coverage of the Season XV WPT L.A. Poker Classic $10,000 Championship.